Editor’s note: This is an updated version of a post originally titled 36 Great Blogs for Self-Publishers. I’ll be taking the next a couple of days off. I wish you and those close to you a fulfilling holiday, and I’ll see you on Friday. Thanks for reading! I guess the first really “social” media was blogs. Blogs were an early sign of a fundamental shift in the media firmament. The idea that the broadcaster (the blogger) would interact directly with the audience (the readers) was explosive. And given the chance, we became social to an extent undreamed of before social media roared to life. Blogs have become one the largest sources of news, information and opinion in the media landscape. There are few newspapers, fewer television stations. But there are millions of blogs. For the latest news, trends and analysis In self-publishing, support for writers, insight into the publishing process, and the transition to digital books, these are the blogs I read. No, they aren’t all self-publishers or even self-publishing advocates, and their appearance on this list doesn’t imply any kind of approval on their part. No, I’ve curated this list myself. We need a lot of perspectives to really see the field of indie publishing. Change in the publishing industry is accelerating. Every blog on this list teaches me about how to publish, what to publish, and what’s coming in indie publishing. I hope you enjoy them. Note: The blogs do not appear in any particular order. If I’ve missed a blog that should be here, would you be so kind as to leave me a comment with the url and I will have a look. This is a clickable list. Just click each graphic to visit that blog. So go forth and read, read, read. The publishing world is changing so fast no one person can keep up with developments. It’s through the combined work of all these dedicated bloggers that we can at least know we’re keeping up with the leading edge of change. Such a great list of resources that I’ve decided to bookmark this page for future reading. Thanks! Thanks for sharing, Joel! 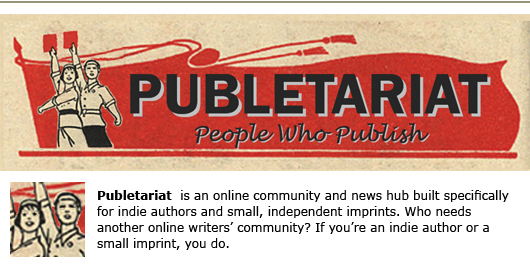 Great list of blogs for self-publishers. I like his viewpoint that if he can get signed through self publishing anyone else can. Hi There . A new website called publibug.com was launched this week which offers the best deal for authors. It is a digital self-publishing site and links each book to the actual author social media network. I buy magazines through their sister site so they are legitimate. I like the way that they have designed the site and that they explain the terms and conditions simply. A “best deal” for self-publishing authors is hard to find. That’s why I turned into a complete d-i-y’er for my own books. Seeing all the bad deals offered (many of which are disgusting, I must say) I’ve been working on the development of a better alternative — http://www.boysmindbooks.com/publishing/publishing.html. For those who want or need these sorts of services, this is a very practical and absolutely legitimate way to get one’s work (print and ebook versions) professionally edited and proof-read, and into the distribution channels, with the least possible up-front cost. Greatlinksdirectory.com GreatLinksDirectory.com is a SEO friendly directory offering useful listing to its visitors through simple and search engine friendly navigation. This SEO friendly web directory delivers high quality resources to increase visibility in search engines.